Looking to hold a party or a business event in a chic industrial setting? Rent one of our two semi-private dining areas. 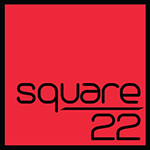 Bring in your own food or order from the Square 22 menu. Space and times are limited.